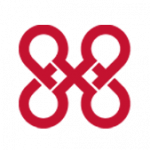 8×8 offers a flexible VoIP system to small and startup businesses. It offers basic and advanced phone features such as call recording, music holds, auto attendant, extension dialing, directory assistance, and more. We compiled 8×8 user reviews from our website and around the web and determined that it has generally negative ratings. We also shared its available pricing options. Ready to learn more? Visit 8×8. Users who gave 8×8 a positive review said that its affordable pricing is ideal for small businesses. They also noted that the system works well even for multiple extensions. Users who gave 8×8 a negative review complained about regular system disruptions. A lot of users also said that the company’s customer support is unreliable. A user who left a positive review of 8×8 on VoIP Review said that it provides great call quality to all their 12 extensions. He mentioned that the voice quality is good and that their switch from their old provider was smooth. He also commended the software for its very economical pricing. 8×8 offers three plans best suited for small businesses: X2 ($25/user/month), X5 ($35/user/month), and X8 ($55/user/month). All plans give you unlimited inbound minutes, call management, and auto attendant services. The main differences between plans is the availability of advanced features such as conferencing, call recording, and Salesforce analytics. Does 8×8 offer a free trial? There was no mention of a free trial or demo on 8×8’s website. Interested users need to contact the sales team to know more about the product. What industries can benefit from 8×8’s services? 8×8 is best suited for government, education, insurance, healthcare, legal, retail, and manufacturing sectors/industries. The video provides an overview of some of 8×8’s key features. Not sure if 8×8 is the right fit for you? Read our reviews of all top VoIP software. The pricing is very competitive with other cloud VoIP providers. The voice service itself works great WHEN it is working. They have a unified communications app, Virtual Office, which is cross-platform and works fine, again, WHEN the service is up. Support and intermittent service. Their support is terrible, outsourced and does not communicate well internally. For example, I had tier 1 support direct messages to their tier 2 support but tier 2 support seems to never get the original message. It takes several attempts to get the same issue resolved with their support teams. We’ve been a small business customer for about 9 months now. We have 3 sites in different parts of the country and about 50 employees. The phone service itself is of good quality when it works. When it doesn’t work it’s a hellish gauntlet of having to deal with 8×8’s support group. More than half the time when we put in a ticket there’s no response until we follow up after a few days of silence from support. When we do get support there are very few support people that will actually do anything other than blame your network/ISP/(insert random device here) or tell you that a core feature like blind transfers should be used over warm transfers because “they don’t work right” according to support. We only use 20% of our max bandwidth at each site, have low latency, and have our firewalls set to best practice according to 8×8. Still, the service is unstable at all 3 locations. When level 1 support “escalates” a ticket it apparently means it’s just back in a queue that nobody checks until call (again) for an update. We’ve talked to the same agents at level one tier and “two” before. Spontaneously we’ve had support tickets closed without any notification to the ticket owner and we believe this is 8×8’s poor implementation of Salesforce support software. Once we had enough of dropping calls and “line unregistered” errors with support being non-existent we had to get out. I was willing to just part ways with 8×8 and consider it not a good fit. I tried contacting my account manager, Byoung, who typically responds after a day or two to talk about this. I couldn’t reach him, so we just called the main number and got in touch with Giselle who was knowledgeable and well-spoken and tried feverishly to talk us out of canceling. I was offered a device that we would put at all the sites that would help with the service. She told me she’d even get it for free for two months then the normal rates would apply. That was weeks ago. I was told that canceling was for the “support group and we don’t talk to them” and that “we just make the ticket”. After a week of silence, I called again, and he had his manager (Carl) “escalate” the ticket. I was again told that “we don’t deal with those guys directly”. After a few irate emails, I was told that the “escalation manager” escalated the ticket on the support side. I’ve never heard of such a title but whatever. So here it is a month after my call to cancel and nothing has happened. I can’t get contact information for someone that can help us and when I talk to the sales/account people they just tell me they can’t do anything but put a ticket in. I guess even internally their tickets are treated the same way they’ve been treated for their customers. If you’re considering 8×8 please save yourself a headache. I feel that they are dishonest, and the support is an absolute joke. Nobody at this company takes any ownership, they just pass the buck and tell you they can’t help. Communication with them is terrible and it seems like internally they are a mess. At this point, we’re being told the people we need to talk to can’t be contacted directly and when I talk to Byoung (account manager) he tells us to call Carl (his manager) who doesn’t answer his phone or return calls. Even Byoung told us Carl can’t do anything anyways because it’s “another department. We’re being ignored intentionally. Price, very competitive. But after using the service it becomes VERY apparent that they just cheap out on upkeep costs. Customer service, software (both their phone system software AND the software on the phones themselves). Reliability and uptime (most important feature of all) they are the WORST about. As I write this review, I cannot access the admin section of my system to fix what is currently broken, so I have my toll free number being forwarded to a cell phone. I would not recommend 8×8 VOiP service to even my worst enemy. Reliability is the most important feature of a phone system, and that is one area this service suffers, and often. We constantly have issues with delay during phone calls and accidentally talking over people in a call (this is bad business and extremely frustrating). We have done extensive analysis on our network to create a perfect and clean environment for these phones to operate (set up QoS, 8×8 support has remoted in to our computers and tried countless settings in our router, upgraded our internet package to the highest speed possible, etc) and we are unable to escape these call quality issues. They come and go, usually when you’d expect “peak” load on 8×8’s servers. Not only is their phone system junk in terms of reliability, but their software itself is also unreliable. Sometimes the admin section of their site (where you would go to configure the architecture of the phone system and all of its features) very often gives server errors, meaning for a fraction of the week, we can’t even change our phone system’s settings. The structure of the software is also very clumsy, this system would not be ideal for a good chunk of businesses out there due to the way it routes calls and such. The hardware is another frustrating subject. I have two cordless DECT phones that have to be TOTALLY UNPAIRED FROM THE BASE STATION in order to change settings like the ringer volume. You are stuck on full volume, or whatever the last setting was, until you get into the settings of the cordless phone and make the phone forget the base station, lower or raise the volume per your wishes, then you have to train the phone back to the base again. When the phone is live again, you CANNOT adjust ringer volume due to a “software bug that they are aware of and currently working on”. Been this way for almost a year with no fix. There are countless other extremely annoying little holes in their software related to general usability that makes this system less capable than an old fashioned PBX system. For exmaple, the home screen of the desk phones do show all other lines in the office with status indicators, but when a call rolls in, a popup showing the incoming caller’s caller ID info blocks your view of the status indicator for all the other lines, so there is NO WAY TO SEE WHO IS CURRENTLY USING THE PHONE and who is free as a call is rolling in. My boss likes to pick up the phone when he sees that I am on a call and knows I won’t be picking up the new call rolling in, but with these phones he has no way of knowing. The customer service this company offers is a total slap in the face. Of course you can expect outsourced call center grade support with almost anyone, but every issue you throw at these people turn into a ticket and a phone call back (never) until you forget about the issue and it disappears into the ether. Not only that, they employ a community of other 8×8 end users to provide you support, and the quality of their suggestions are usually very low and most of the time not even relevant to your issue. I would love nothing more than to bail on this company and go with a competitor, but the early termination fee is basically just paying out the entire rest of your contract’s service fees (over $1400 for us, 7 months remaining times $200), so we are prisoners to this garbage system for the long haul. I could really go on for days about how frustrated I am with this company. Make sure you see the features a company advertises WORKING in your demo before signing a contract, and use the tar out of your phone system while you are still able to cancel your contract in the first month. Not much. If you’re a VOIP company and you can’t provide reliable VOIP service – that is an issue. All 6 of our lines were in different locations, different operating systems, different phone providers, etc. and every one of my employees had issues. VOIP and web meeting services. We spent 9 months with the 8×8 product and had a horrible experience all around. The VOIP system we continually had issues with. We are remote workers and work from clients, etc. Their recommendation was to configure each router we connected to or to connect to our phone Wifi in order to work through this. We had dropped calls, calls we couldn’t answer and numerous other issues. We worked with tech support for over 3 months. The web meetings – our clients continuously dropped off of (during important meetings) and they wanted us to have our clients do the same thing to login. Our clients started to question our level of service due to their tools. They finally agreed to cancel our account. BUT, took all of our prepaid services with no refund in lieu of a cancellation fee. So essentially, they got all our money and “allowed” us to cancel early. Beware – switched to RingCentral and have had no issues. Do your research before choosing them. If you have time for dropped calls, unreliable meetings and hours with tech support, they will be a great solution for you. If not – better look elsewhere. How unreliable their software was and that I’d have a nightmare getting tech support or support from our sales rep. The only positive thing I have to say is their pricing is cheap. But you get what you pay for so keep that in mind. What does the company not do well? Literally everything. Customer service is a joke- our average case resolution time is 64 days. That’s if you can even get in touch with support, as their support portal is down multiple times a week. Once you do finally get to talk to someone, they will be argumentative and unhelpful and rude. They will frequently close cases with no actual resolution, or they’ll just chalk everything up to “it’s a known issue”. You can’t have your entire app not work and call it a known issue. How atrocious their customer support is. Hands down the worst I’ve ever had to work with. My colleague and I enrolled in services from 8×8 back in 2017. We only used the services for maybe four months at the most, as we dismantled the business in pursuit of other ventures. I have called in on several occasions to see what was needed in order to cancel the contract, i.e what the cancellation costs were, if a notice was required, etc. We were unable to pay the full balance at the current time so I called back in a while later to finish the cancellation process. During which time I was told by a representative named Paige that the cancellation cost was going to be around $3000-$3500 give or take. I was told by her that the 30 day notice was completed for our cancellation and that all I needed to do was call back in when I was ready to pay the balance. Today I called back in and I am being told by a representative that the balance is not $3500~ but closer to $7500 instead. That is an INSANE difference in cost. How is that mistake even made? I asked to be transferred to a supervisor to resolve the issue and see if there was a way to negotiate and lower the cost as it was THEIR representatives mistake and I shouldn’t have to suffer the consequences from the incompetence and lack of proper training on their behalf. Upon speaking with the “supervisor,” they were completely unwilling, unhelpful, and instead of taking responsibility for their mistake and working to resolve the issue, they blatantly stated “sorry, not sorry” and refused to honor the original amount that I was quoted. Not only did they refuse to honor the amount I was originally quoted by Paige, but they refused to budge entirely. I have worked in several customer service positions before. I know that the rules can be bent in order to assist a customer, especially if the mistake was due to a poorly trained representative. I understand that they have to abide by their policies, but a difference of $4,000+???? Absolutely unacceptable. There is no reason why the math should be that inaccurate. Their inability to resolve customer concerns, their poor service quality, and their excessive termination fees.